Russia uses it for haggling. 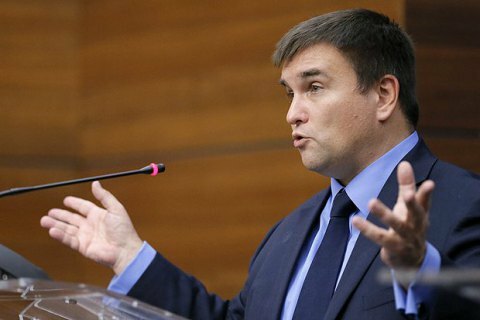 Ukrainian Foreign Minister Pavlo Klimkin has said the Minsk agreements on a Donbas conflict settlement are in a "coma" which only Russia can end. "'Minsk' is actually not dead, but it is in a coma. Only the Kremlin can pull it out of a coma, since [Russia] induced this very coma. It did so absolutely consciously. In order to bring Minsk out of this state, Russia must take the decision to leave Donbas," Klimkin said in an interview with Interfax-Ukraine news agency. "Some of my European counterparts still say that if we cannot solve the Donbas issue now, then it is necessary to freeze it for a while. I have a simple analogy for them – you have a wound and it hurts. You can numb the wound, but at the same time it must be treated, and not just 'frozen'. Otherwise, it cannot be healed," Klimkin said.